PALM BEACH GARDENS, Fla. -- Superstar golfer Tiger Woods pleaded guilty Friday to reckless driving and agreed to enter a diversion program to settle a charge of driving under the influence that began when he was found passed out in his Mercedes. Woods, 41, spoke only briefly during a hearing at a Palm Beach County, Florida, courthouse that coincidentally is on PGA Boulevard. He answered the judge's questions about his plea agreement with prosecutors but did not make any broader statement. "This particular plea agreement has no jail time on it. However, if you violate your probation in any significant way, I could revoke your probation and then I could sentence you to jail for 90 days with a fine of up to $500, is that understood?" Judge Sandra Bosso-Pardo said. Woods was arrested about 2 a.m. May 29 when officers found him unconscious in his Mercedes-Benz, which was parked awkwardly on the roadside and had damage to the driver's side. It's not clear how he damaged the car. Officers checked the area but didn't find that he had hit anything. He was about 15 miles from his home. 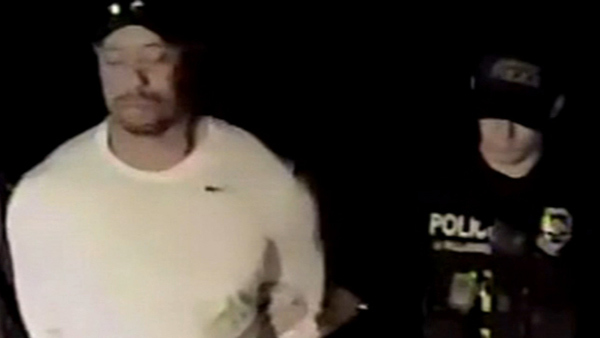 His arrest was recorded by an officer's dashcam video and released to the public. Woods had the active ingredient for marijuana, two painkillers - Vicodin and Dilaudid - the sleep drug Ambien and the anti-anxiety drug Xanax in his system but no alcohol, according to a toxicology report released in August. He completed a drug treatment program in July. Woods has said he had been self-medicating to relieve the pain from his fourth back surgery and insomnia. Woods' 79 PGA Tour victories and 14 major titles both rank No. 2 all-time. He has not competed since February because of his back injury and is not expected to return this year. His last win was in August 2013.